When you plan your next escape to paradise be sure to bring a few extra ingredients along to mix up your margaritas with some added flavor. Imagine your classic margarita recipe as a blank canvas to create exciting new tastes for your frozen concoctions. The key is to use a base of tequila, lime juice and sugar. Then, add one or more of these three ingredients: liqueur, fresh fruit or fruit juice. Try a tasty twist on the traditional margarita. Aside from liqueur, you can easily include a few ounces of your favorite fruit juice. Mix a few ounces of a juice, such as orange, pineapple or cranberry, in your Frozen Concoction Maker® for added flavor.The classic margarita uses citrus liqueur to complement the lime flavor. But there are so many other types of syrups and liqueurs you can use to create a twist on the traditional margarita. Combine mango and pineapple liqueurs to create a tropical margarita, or try blending kiwi and strawberry liqueurs for a sweeter take on the frozen drink. Try fresh or frozen fruit to add color and flavor, whether it's a single fruit or a combination of flavors like mixed berries or a melody of melons. Just add to your Frozen Concoction Maker® jar and blend the fruit with your other ingredients for a truly fresh margarita. Garnishes are also another way to flavor your margarita. Fruit garnishes like pineapple wedges, halved strawberries or mango chunks infuse extra fruit flavor into your frozen concoction. You can also get creative with your garnishes - try a large cucumber slice to a lime or lemon margarita to make it extra refreshing, or sprinkle a few sprigs of fresh basil or mint onto the top of your drink. Don't forget the rims, either. Salt and sugar are margarita staples, but you can also switch it up with brown sugar or cocoa powder for added sweetness. Try your hand at one of these great flavored margarita recipes today! A Margaritaville® favorite for the "5 O'Clock Somewhere" crowd is this one. A slightly different rendition to the basic recipe makes this a perfectly refreshing frozen concoction. Fill the ice hopper and add remaining ingredients to the blender jar of your Frozen Concoction Maker®. Choose drink settings and blend. 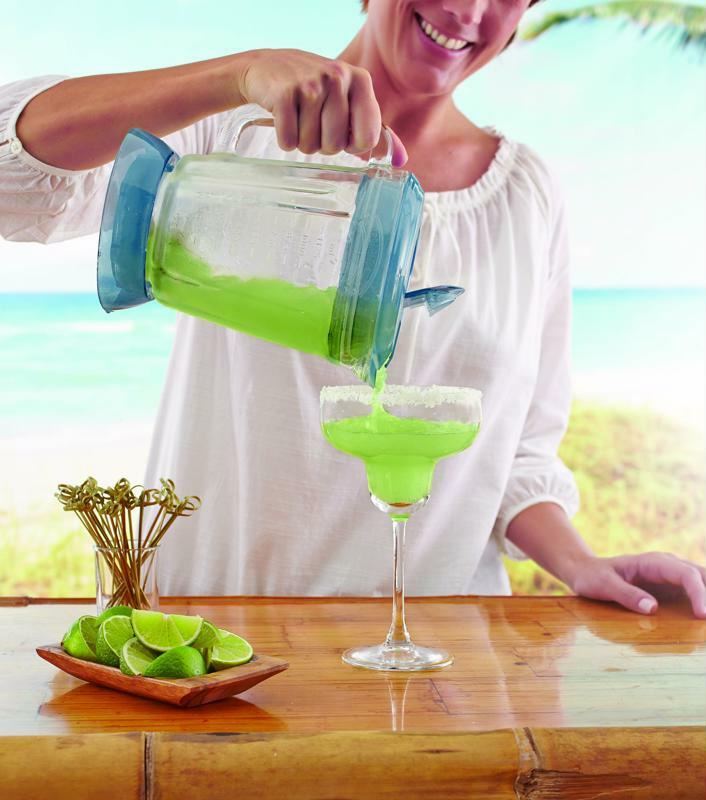 Pour your flavored margarita into a margarita glass with a salt rim. Garnish with a lime wedge on the edge of the glass and a fresh strawberry on top. 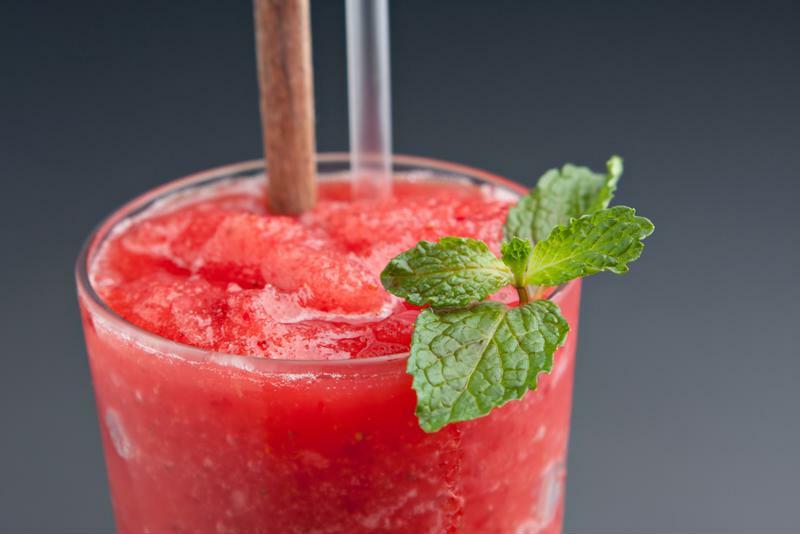 Use pomegranate juice to add a delicious fruit twist to your next frozen concoction. Add ice to reservoir and remaining ingredients to the blender jar. Choose drink settings and blend. Garnish with a sugar rim and a lime or add a few pomegranate seeds. Mix all of these ingredients in your Frozen Concoction Maker® and serve with a fresh melon wedge. Mix all of these ingredients in your Frozen Concoction Maker®. Pour into glasses and enjoy. There are so many delicious ways to flavor your margarita. Add the ice to reservoir and remaining ingredients to your blender jar. Choose drink settings and blend. Serve in a hurricane glass with any combination of lime, pineapple or mango slices as fresh fruit garnishes. Please drink responsibly and follow all drinking laws.